I am a few rounds into a grip change, trying to weaken my grip significantly so it’s feeling pretty awkward. I have been hitting a lot of good shots but also some total flubs overall making it hard to break 80.Yesterday I shot a 71. Started birdie, birdie, bogey. The bogey was caused by a poor 4-hybrid popped into a penalty area. I added 4 more birdies and the rest pars leaving me on the 17 tee at 4 under. The possibility of a new record low score was in my head. It’s a short dogleg left. Blew my 4-hybrid OB right and ended up taking a 7! I play with the Golf Pride MCC Plus 4 Align grips. Grips are all about what feels good to you, both regarding size and texture/firmness. These check all the boxes for me. Like Piz said above, cleaning them is essential. It helps them last and maintain the new grip feel. P790 - 45 degree - 140 Vokey - 52 degree - 125 Vokey - 58 degree - 100 TM HiToe - 64 degree - 80 I have 1/2 and 3/4 swing distances for each as well. 23 is the lowest I remember. Low putt numbers usually equal low GIR days so they don’t usually equal low scores. I’d take 15 GIRs and 30 putts any day over a 3 GIR 20 putt round! 95 yds, 58 degree Vokey wedge. Taylormade irons, Titleist and Taylormade wedges, Taylormade putter. 6 iron, would be 4 or 5 if I carried them. 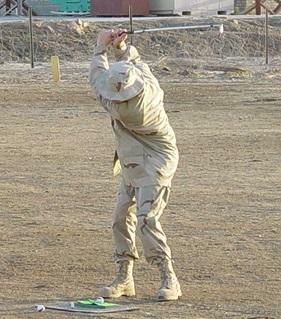 I usually shut the face down, play it back and hit a low draw recovery. I carry a silver hip flask filled with scotch. 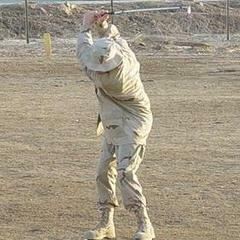 I take a celebratory nip after a birdie or eagle. I picked the flask up in Scotland during a golf vacation in 2000. The flask was on sale in the clubhouse of one of the courses and engraved to commemorate their 500 year anniversary. A cool and unusual item I keep tucked away in the valuables pocket on my bag. Shot 82 yesterday in 25+ MPH winds and mid-40 temps. Let the wind get me on a couple holes when it was left to right, led to 2 OBs. Had 3 birdies, best so far this year, 2 were 2 putts after reaching par 5’s in two. Putter not warming up yet. Heading out in an hour to try again! On a side note the anchored putter ban is being reversed according to Adam Scott. He was quoted in the Aussie Hacker Magazine, April edition as saying he was informed by the Aussie R&A that effective 1 May he would be allowed to return to the putting method he won the Masters with. Descendants of Sam Snead have formally submitted a protest requesting side saddle putting be legalized on all major tours. Are stymies next? Stay tuned!! Politics and golf merging, interesting. I usually look at golf as my getaway from everything. In this instance I think playing one of his courses would cause me to consider my political views and bring some level of discomfort to my safe and happy place. So....a big orange fat hairy NO! I think this isn't a big deal. The rule has changed, it is simple and clear. I can understand the reasoning behind it. Bottom line: follow the rule and save any concern or frustration for a more critical issue like slow play! Great post! My numbers (driver swing speed 106-108 range and 150 yard club 8 or 9 iron) are very similar to yours and I currently carry only 13 clubs. I game a 10.5 degree M5 driver, 15 degree M2 3-wood, 3 and 5 M2 hybrids and 6-PW TM P790 irons. My other wedges are 52 and 58 degree Vokey, and a 64 degree TM Hi-Toe. I strongly believe that having more wedge options is the way to go. No matter how good you are with a standard range SW (56ish degrees) I think a skilled golfer can benefit from having a 60 degree or higher loft wedge. I can understand no wanting a 3-wood if you can't hit it effectively. I struggle with mine but refuse to pull it from the bag in the belief that I will (with practice) develop the ability to hit it off the deck more with better results and someday be able to hit it off the tee box at a higher GIR percentage than my Driver. Neither is the case now. I would recommend you consider one of the following options for your 14th club. 1. 60 degree or higher wedge to help with those short sided situations we all leave ourselves in too often. My 64 degree hi-toe really has helped me improve that part of my game and is a great club for shorter distance sand shots as well. 2. Driving iron might be a good choice if you currently hit the longer irons in your bag well. 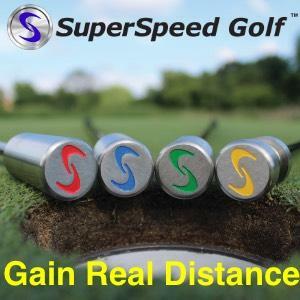 I am going to look at the new GAPR offerings from TM to possibly give me that go to club for tee shots on tight holes or when I want to hit a lower trajectory shot (my hybrids and your 5-wood probably fly too high to be the best choice on windy days). 3. 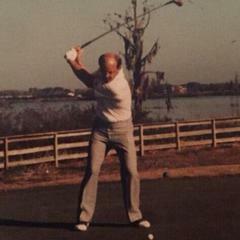 A left handed mid-iron to handle those rare but aggravating and score hurting situations where a right handed punch out isn't possible and a drop or whiff/dribble result is likely. Good luck and let us know what you decide on!